A letter written by D. [Dudley] C. [Chase] Haskell introducing Governor Thomas Osborne to Rev. W. M. Wellman. 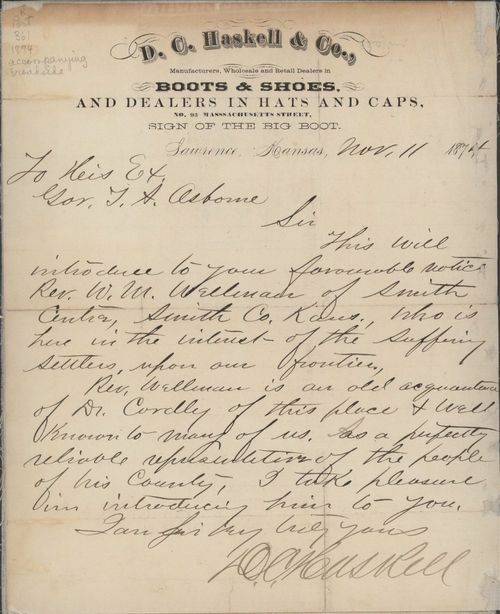 Wellman was appointed to the Kansas Relief Committee and worked on behalf of The Smith County Aid Society to obtain funds to help settlers effected by the grasshopper plague.